A sebaceous cyst(epidermoid cyst more correctly) is a closed sac under the skin filled with a cheese-like or oily material. 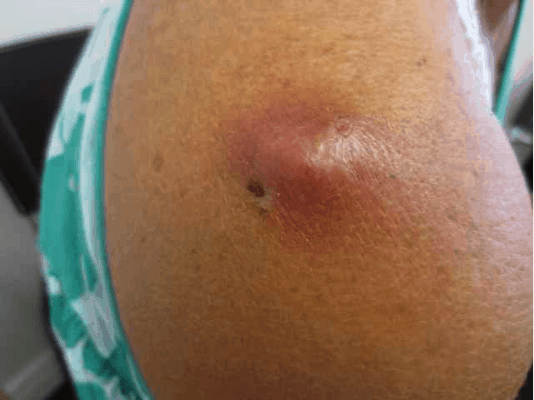 Sebaceous cysts are usually found on the face, neck, and upper body, and are usually slow- growing, painless, freely movable lumps beneath the skin. When a cyst becomes infected it can become inflamed and tender. What Are the Causes of Sebaceous Cysts? Sebaceous cysts are most commonly the result of blocked pores in the skin which then results in accumulation of this material in a sac. 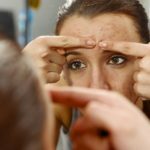 They can sometimes be incited by trauma but it is mostly a genetic condition wherein some people are more prone to developing them then others just as some people are more acne prone. Place a warm moist cloth over the cyst and apply pressure to help drain the infectious fluid. If you currently have a sebaceous cyst or epidermoid cyst, then excision of this lesion is preferred. Unless the lesions is completely removed it will recur again over time. Dr. Crippen performs these excisions in his office with the use of a local anesthetic so there is no discomfort whatsoever with the excision process. After the treatment you will have one or more stitches to close the incision which will require removal in the next week or so. 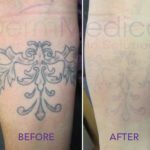 During that healing time you will be given clear instructions about how to care for your skin so as to maximize your healing potential.